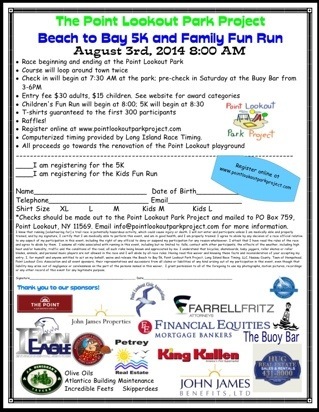 This Point Lookout Park Project event will be held on August 3rd at 8am. The course will take runners around the perimeter of Point Lookout. There will be a pre-event on August 2nd at the Buoy Bar. Stay tuned for further details. Both at Point Lookout Library Branch. The first is Monday, July 21 at 7:00 p.m. Imagination is the lens in SPIRIT ON MAIN. 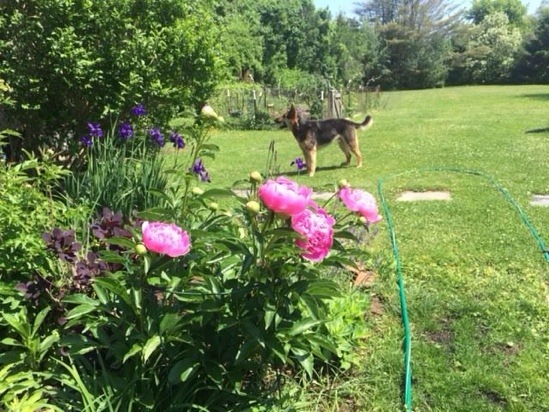 Monday, August 18 at 7:00 p.m.
Claire has enjoyed a fellowship at Breadloaf, Vt and The Poets’ House, Donegal. She created The Poetry Project at The Dalton Schools First Program, N.Y. Check Your Mail for PLCA Newsletter this week! 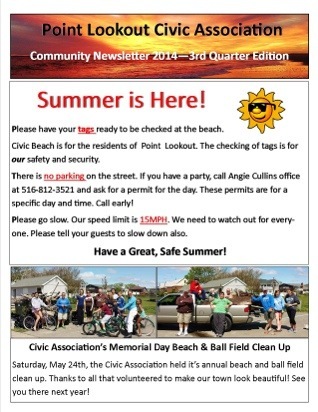 Check your mail this week for Point Lookout Civic Association’s newsletter! People asked for a paper newsletter and somehow never saw the last one that mailed in the spring. 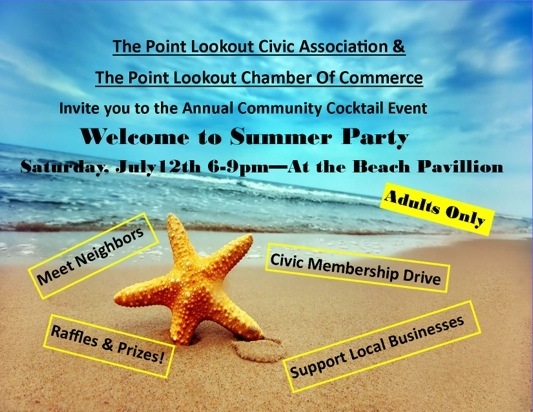 Point Lookout Civic Association and Point Lookout Chamber of Commerce present the annual get together on the beach! 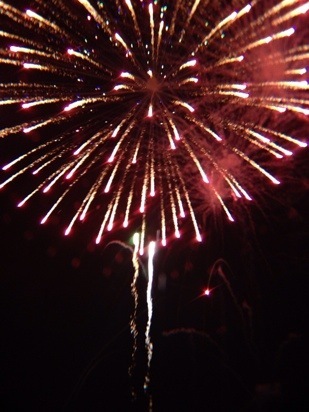 Best wishes to you all as we Celebrate our Independence! Parade kicks off momentarily ! 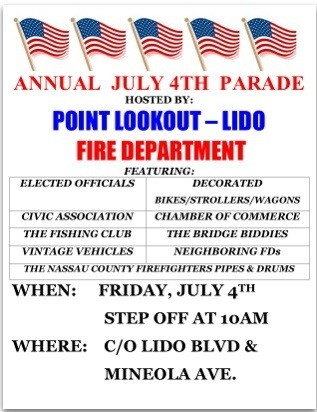 The Point Lookout – Lido Fire Department invite all the the Independence Day parade. 7/4/14 10AM. Lido Blvd, Point Lookout, NY.